With the holidays behind us, gift giving isn’t on the minds of many. However when we go back to work next week there’s going to be some people undoubtedly worried whether they got someone the wrong gift. Typically you can read the fake smile but sometimes you can go all year, or at least until someone’s next birthday, to find out that they didn’t really like the last gift you got for them. There are startups trying to solve this problem and Vancouver startup iWishfor is one of them. The idea behind iWishfor is pretty easy. People can take their smartphone and scan the barcode of any item they may want to receive as a gift. From there they can sign up their friends and family members to see the list of the things they want. All of those people become the list follower. As a follower you can see the list your friend created and you can cross the item off the list if you pick it up. You can also add your own suggestions to the list which the other followers can see but your gift recipient cannot. This way, not only are you getting a gift that your friend or relative really wants but your also getting a gift no one else is getting for that person. Everyone has heard of a wedding registry or a baby registry, apps like iWishfor allow people to create virtual registries for any occassion. We got a chance to talk with the team behind iWishfor. Check out the interview below. 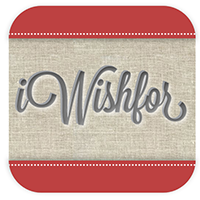 iWishfor is a fun and easy way to save and share gift ideas with friends and family using your smartphone or our website. iWishfor wants to bring joy back to gift giving by making finding the perfect gift fun and easy again! To start creating a gift list, all your loved ones need to do is scan the barcode of the product they want as a gift or take a picture of the item and add some info about the product. Now, when you are out shopping for a gift for someone, all you do is go into the iWishfor app, go to that person’s list and you will immediately see their list of gift ideas all in one place. You can even add your own ideas to their list without them seeing. Sharing gift lists with your loved ones is as simple as going through your contact list and sending your friends and family an invite. Once your friends and family have joined, you can begin to share your gift ideas! When you purchase an item for someone, you can let all their followers know that that item has been purchased without letting the recipient know. Now, you don’t have to worry about giving the same gift! Ian Hancock Founder/CEO of iWishfor. Ian previously worked in the Education sector for 13 years as technology coordinator/facilitator and administrator working on integrating new technology into schools and curriculum. Ian has a Masters in Technology with a focus on online social networks and how they affect group think. He has also worked with a Web Development company for the last 6 years as Communications and Business Admin. Nathan Leggatt Co-Founder of iWishFor (CTO). Nathan oversees product development, programming, database and server architecture as well as managing the addition of innovative product features to keep us ahead of the competition. Previous to iWishfor, he was CEO of ImageSpike an interactive image markup company, and previous to that ran a web development shop for 12 years completing work for companies across the world. Previous software that Nathan has developed includes: Flight Safety Management Systems, Student Intervention Management, Custom CMS, Custom Document Portals and Highly scale-able server architecture for ImageSpike. We are based out of the glorious city and province of Vancouver, British Columbia. We have a growing and vibrant startup scene in Vancouver. With the combination of cheaper work spaces and close proximity to investors and startups in San Francisco and Seattle, we are a great alternative for startups looking for lots of great opportunities at a more competitive cost. However, Vancouver is also growing in terms of investors and mentors looking to establish themselves in a place with lots of potential but not as much exposure. There are lots of opportunities for investors to get in early on some of the hottest startups. We also have a growing community of accelerators establishing themselves in Vancouver including Growlabs, Launch Academy and a couple of others that are starting up. How did you come up with the idea for iWishfor? The idea all started when I got a really ugly tie for Christmas. About a year ago, a relative of mine gave me a gift. Excited, I began to open it only to discover what had to be, the world’s most garish tie. I started to laugh thinking that it was a joke when, all of sudden, I heard them say, “What! Don’t you like it?” I realized them that they had spent time and effort trying to find exactly this type of gift for me thinking that it was the perfect gift. I was so embarrassed and I couldn’t bring myself to tell them that it was wasn’t something that I would ever wear. I still have it in my closet. It was then that I thought to myself that there had to be a better way to find the perfect gifts for people without the stress and time it usually takes. We wanted to create something that was beautiful and simple to use so that you always had great ideas for gifts. You would never have to worry about what to get people because you could use iWishfor to immediately see the types of things they wanted for any occasion. Even if you didn’t buy anything on their list, you could still get ideas on the types of things they liked. You could also have an easy way to add your own ideas to someone’s list throughout the year, so you are never stuck for ideas. We wanted to have something that was simple and easy to remember. iWishfor just seemed to logical name for the app. It immediately spoke to the purpose of the app, was easy to spell and remember and, more importantly, we could actually get the domain for it, which is not an easy thing especially when you are looking for something about wishes or gifts. What problem does iWishfor solve? We want to bring joy back to gift giving by making finding the perfect gift fun and easy again. So often, people resort to impersonal, cold, gift cards because they fear getting something somebody doesn’t want. And when they do actually buy a gift for someone, 1 in 5 people say that they don’t like the gift they got. So what do they do? They either put it in the basement or take it back to the store. And now, merchants get dinged 10% on every return and they have to deal with the excess inventory. iWishfor solves those problems with our innovative tools. Isn’t that why it’s called secret? :) What we can say is that we have a unique blend of barcode scanning and automatic syncing of gift lists amongst friends and family. We are also all about real world wants! In fact, we like to call ourselves the Pinterest of Real World Wants. Unlike, Pinterest where people are just pinning things they like, our users are out in the real world scanning and adding gift ideas that are real products, in real stores, bringing real world products into the digital realm irrespective of brand or store. We are mostly bootstrapped though we have raised and completed a Friends and family round of investment. We have a number of strategies we are exploring. One of the nice things about the app is that, while it is usable for the person who downloaded the iWishfor app, the real power is in connecting to your friends and family. So, our app is spreading virally that way. However, you can never depend on viral growth as your main source of growth. So, we have also pursued using Google and Yahoo ads to help bring users to our site. We have also teamed up with various online services to drive traffic to our site and get downloads, which has been very successful. We also have some other things up our sleeves, which is all part of our secret sauce! We have also been getting some great press, having been highlighted in the Business in Vancouver weekly magazine, on betakit.com as well as being featured in one of the most prominent newspapers in Canada, the National Post. We were also recently featured on Newstalk1010/Astral – The Live Drive with John Tory out of Toronto. One of the challenges we faced was how to get noticed by people interested in mentoring us and investing in us. It was hard to do that, particularly where we were located. During a conference, we heard about some opportunities to get involved in a CEO-in Residence program in Vancouver that was free. They connect you with a mentor that can advise you and provide some connections. Called Centre4Growth, it has been an invaluable resource for us. Through them, we got involved in a Startup Accelerator called Launch Academy that provides help, resources and office space for extremely reasonable rates without taking equity. From the Centre4Growth team, we have had two mentors/advisors. Dr. Peter Payne and Gina Arsons have worked closely with us from the beginning. Generally, one of my role models is [Dave Parker] from Founder’s Institute. He has been a great resource and help for iWishfor, providing us with connections to contacts from Silicon Valley and some big businesses. He has an amazing ability to provide criticism and critical analysis without being negative or hurtful which is far more productive and useful. We’ve got Canadian stories eh! Seattle Startup: XSync A Safer Way To Share Files On Mobile Devices?